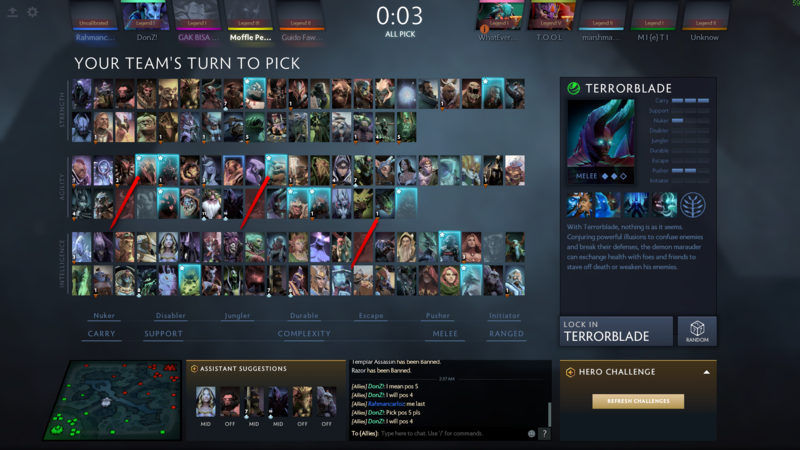 It suggest to pick a CM, Rhasta or Spectre in mid..
༼ つ _ ༽つ I giff tango, Volvo giff server? Joking aside, it even suggested Dazzle offlane. So yeah, I confirm it has some weird suggestions sometimes.